Network World increasingly has been writing about companies transforming their businesses via the Internet of Things rather than just tracking the latest IoT vendor announcements. But after taking a spin through our ongoing and interactive startup funding timeline, we figured it was a good time to round up some of the latest startups to rein in venture capital for their IoT-related businesses. TrackNet CEO Hardy Schmidbauer: "For Enterprise and [low-power WAN] we believe the long-term killer application is low cost asset tracking"
Focus: ClearObject, which until last month was known as CloudOne, is starting off the new year by rebranding itself as “more than just a cloud services company” and rather, an Internet of Things-focused business. The company is led by CEO John McDonald, a longtime IBMer who also co-authored a book with a colleague a couple of years back called “How IoT is Made: Will Your Company be a Victor or a Victim of the Internet of Things?” ClearObject aims to help organizations adapt and manage Internet connected devices, from household appliances to medical gear, and make the most of data collected. ClearObject’s services include developing and testing new IoT designs as well as providing secure hosting for IoT and legacy apps. Funding: $11 million, including a $9 million round announced in August that was led by Flint Capital. Focus: Via its flagship XSense offering, this company provides security for the industrial IoT, providing both real-time visibility and historical forensics to customers in fields such as energy, transportation and manufacturing. The company last year also introduced an automated vulnerability assessment offering for industrial networks and has a team of researchers who keep an eye on emerging threats and spread the word to help organizations protect themselves (such as from a zero-day vulnerability discovered in a commonly used industrial firewall). CyberX is active in both the Industrial Internet Consortium and Industrial Control Systems Information Sharing and Analysis Center. Co-founders Omer Schneider (CEO) and Nir Giller (CTO) both gained significant experience in cyber security during careers with the Israel Defense Forces. Funding: $5M in seed funding announced in August, including from NFL Hall of Famer Joe Montana’s fund. Focus: This startup formed by a team of University of Toronto grad students is building a network of “low-cost nanosatellites” (i.e. “cell phone towers in space”) and narrowband-enabled base stations intended to support booming machine-to-machine communications demands with an alternative to on-the-ground infrastructure. The company hopes to have two satellites operational this year and a service available shortly thereafter. Intelligent shipping, smart agriculture, connected transportation and remote telematics are among possible applications to be supported via Kepler’s global satellite communications services. Funding: $43 million, including $28M in Series B fundin in October of 2016 led by GV. Funding: $6.55 million, including $4.1M from Deutsche Telekom Strategic Investments in January. Focus: This software and hardware startup describes itself as an “Internet of Things supply chain and enterprise asset visibility company” that can help customers make better decisions. 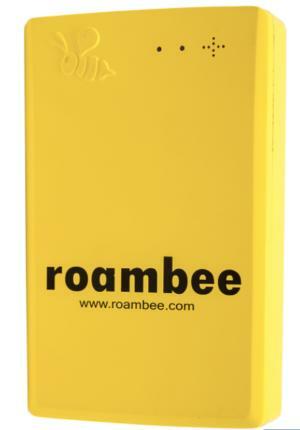 Its ruggedized smartphone-sized Bee wireless locators use sensors to monitor assets in the field or in transit and enable real-time data access and analyzation via the cloud, and according to Roambee, its 100-plus customers include the likes of Cisco, Nestle and Unilever. Roambee’s technology synchs up with ERP and other legacy software, and the company also has a key partnership with investor Deutsche Telekom’s T-Systems IT and communication services company to deliver its pay-as-you-go offering. Funding: Received $7M in Series A funding in January from Minol Zenner Group and Gemtek Corp.
Focus: TrackNet is building IoT sensors, gateways and apps designed to work on low-power wide-area networks (LPWAN) adhering to the LoRaWAN specification. 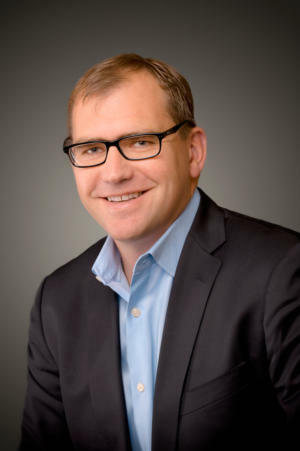 The first offerings are targeted at enterprise facility and property management and consumers, CEO Hardy Schmidbauer says, and “will create LPWAN network coverage at very attractive CAPEX/OPEX compared to deploying a network solely based on towers.” The name TrackNet comes from the company’s belief that the long-term killer app in this market is low-cost asset tracking.